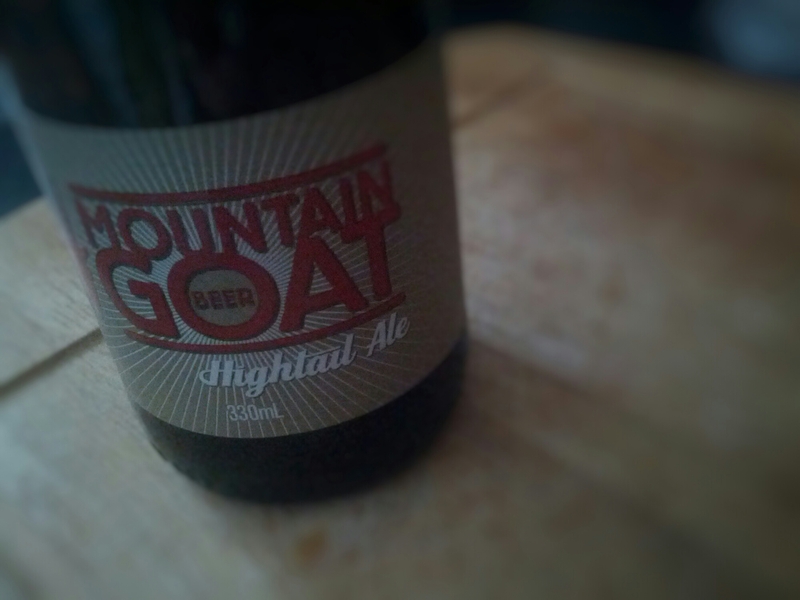 Mountain Goat’s Hightail Ale is a beer I’ve avoided for ages because, just quietly, I never really liked it. I much rather preferred to drink their Steam Ale back in the day. And so this post was going to be about that beer. But the weirdest thing happened. I tried the Steam Ale and found I didn’t like it; it wasn’t as good as I remembered. Figured everything might have been reversed when it comes to Mountain Goat beers and my taste bud, I went and got a Hightail Ale. Yep, everything HAS been reversed. The appeal of the Hightail was instant – from the very first sip that gave me some delicious toffee flavours around the edges of the palate. Along with the lovely biscuity notes it went down a treat on a cool spring evening. It’s definitely a beer I have unfairly overlooked … for a very long time. Update 30/9/2015: I swear it is purely coincidence that a Mountain Goat beer is included in this series just two days after the announcement they’d been bought by Asahi. I wrote these posts a week ago and scheduled them to run this week – and this post was always going to run today. I’ve had similar experiences recently with Steam and Hightail. Still not a huge Hightail fan but its more palatable than I remember whereas Steam isn’t. Might need to track down some fresh Steam and see how it goes. I had memories of really liking Steam when I was a newbie beer fan. But these days, not so much. I like to think it’s my palate, and not the beer, that has changed.